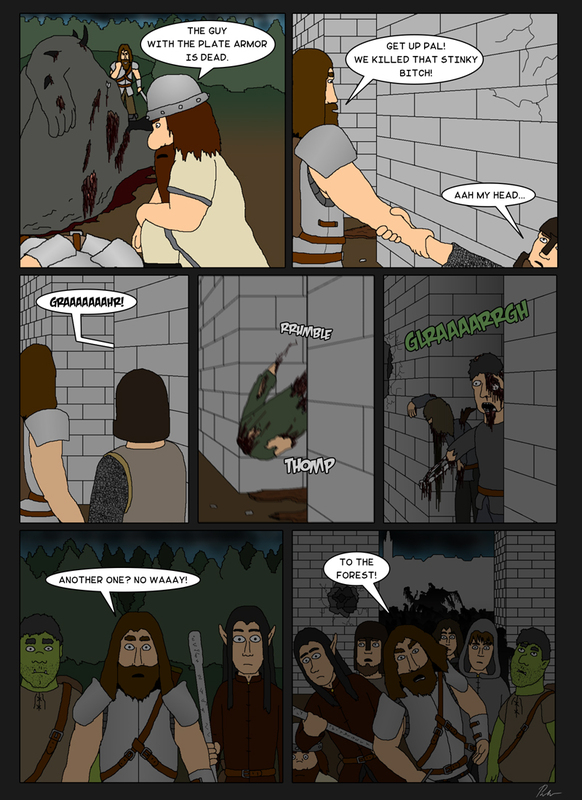 Chapter 2: Page 47 - Another one? There is no time for celebration, because the DM is disappointed (he want’s the adventurers to die, because that is his satisfaction). So they have to run, if they don’t want to fight another big and stinky meatball.